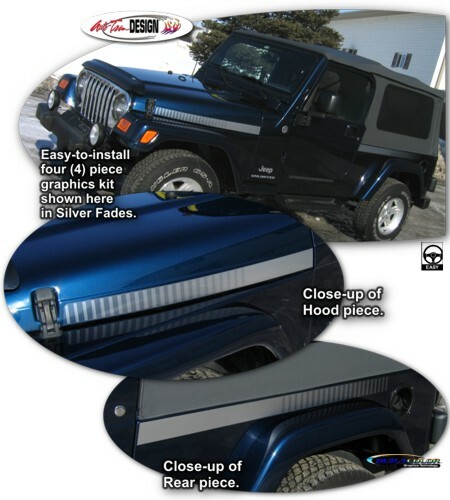 Dress up your Jeep Wrangler with these awesome body side graphics. They are simple, unique and they'll set your vehicle apart from the rest. While graphic kit is designed, set and shown on the ‘04-’06 Jeep Wrangler Unlimited body style, slight trimming of Rear pieces behind the doors will allow use on all models of Jeep Wrangler.